Today’s world faces a number of challenges affecting the quality of life for people and the natural environment which sustains us all. The Sustainable Development Goals were adopted by member countries of the United Nations in 2015 as a call to action to improve the lives of people everywhere. Many of the global challenges also present as local challenges, and for the water sector in Australia, issues such as a drying climate and rapid population growth call for a different way of thinking if we are to meet society’s needs now and in the future. Yarra Valley Water Managing Director Pat McCafferty said that committing to the SDGs was strongly linked to the organisation’s core purpose as a water utility providing an essential service that supports community health and well-being. 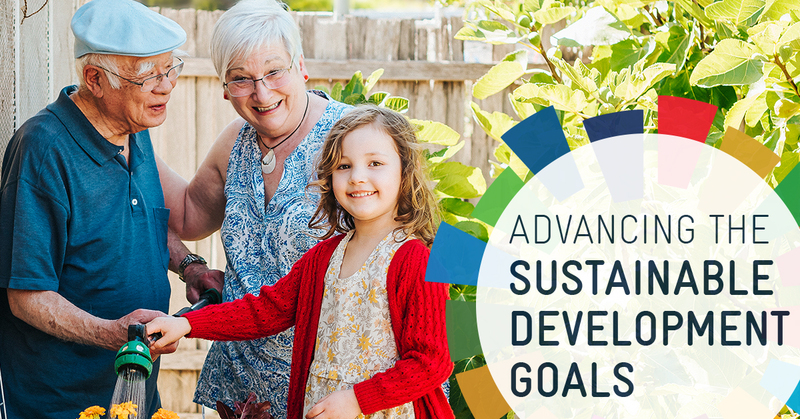 Yarra Valley Water has now mapped its contribution to each of the 17 Sustainable Development Goals (SDGs), building on the work by the United Nations, to meaningfully measure the impacts we have on the community and the planet. “Embedding the Sustainable Development Goals (SDGs) into our key planning provides a global context for how our activities contribute to these goals. Governments can’t build a better world on their own. Businesses and communities across Australia have a responsibility to help our country meet the SDGs. (13) Climate action (7) Affordable and clean energy We are well on track to generating 100 per cent of our own energy, using renewable technologies, by 2025 - through our waste to energy plant and solar farms at our treatment plants. (1) No Poverty (10) Reduced Inequality Improving the affordability of our services through achieving significant productivity improvements and delivering real reductions in customer’s bills, and taking a leading role in the Thriving Communities Partnership, where we have helped bring together 130 businesses, government agencies and community sector members, to look at how we can better support people at risk of financial hardship to remain connected to essential services such as water, energy and telecommunications. (6) Clean water and sanitation (14) life below water Through increased recycled water, a self-imposed cap on nutrient discharges and community sewerage programs to replace septic tanks, we are playing our part in maintaining healthy waterways. We are committed to having a net neutral impact on the streams that we discharge into by 2020.